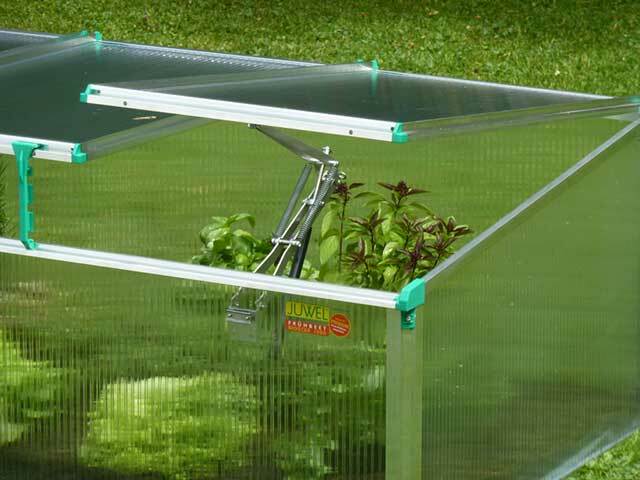 Keep your small plants out of the cold or start new plants early with our Mini Cold Frame! 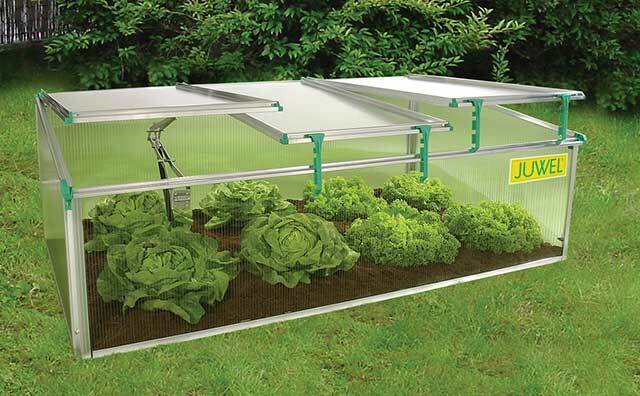 Provide shelter for your tender plants or harden-off seedlings. These mini hoop buildings are ideal as over-wintering structures for young or delicate evergreens or any shrub that cannot accept direct exposure to winter conditions. Framework is constructed from 19 gauge, 1.05" OD Allied Gatorshield structural steel tubing. Cover is made from our 6 mil, 4 year greenhouse film that has UV-blockers, an anti-dust additive, and comes with a 4 year warranty. Fabric clips included. Ground posts are included. 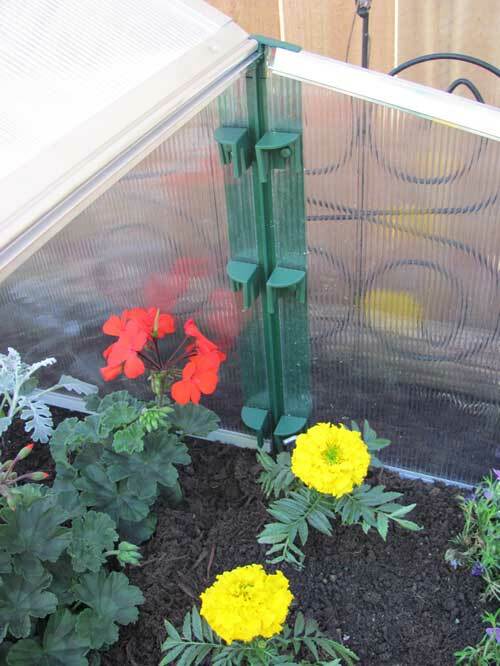 We do recommend using our Recycled Plastic Poly Lumber and our Stackable Joint Corners, sold separately, as a base. 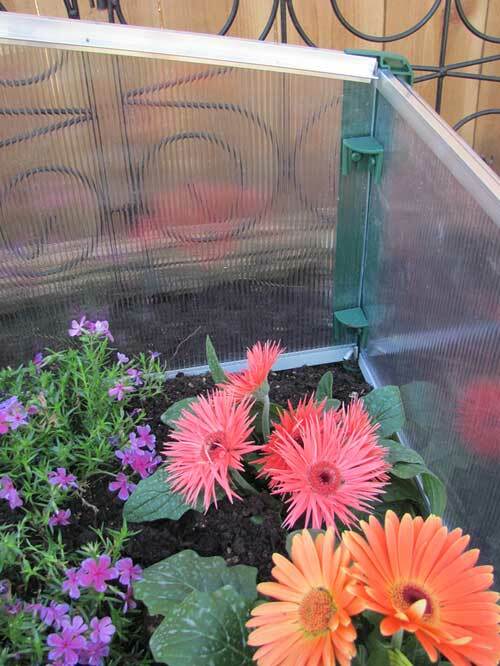 During the warmer summer months, replace the greenhouse film with our 60% Black Knitted Shade or our Insect Screening. Ask your sales associate for more details. »Framework is constructed from 19 gauge, 1.05" OD Allied Gatorshield structural steel tubing.